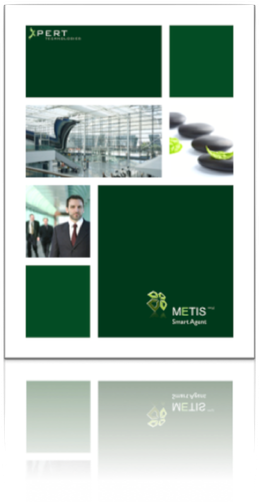 METIS TM(p) Smart Agent offers a variety of integrated tools solving automation challenges. With METIS Smart Agent, companies can accomplish time-consuming and repetitive manual tasks quickly, efficiently and effortlessly. Users bypass all of the complex programming that is usually required to create automations with the use of simple drag and drop maneuvers. Individual steps are assembled into a complete task, thus creating a customized workflow. METIS Smart Agent allows companies to access the complete METIS environment using commands, tools, and scripting languages. It comes with a library of more than one hundred actions including WatchDog, helping users trace actions for further analysis.